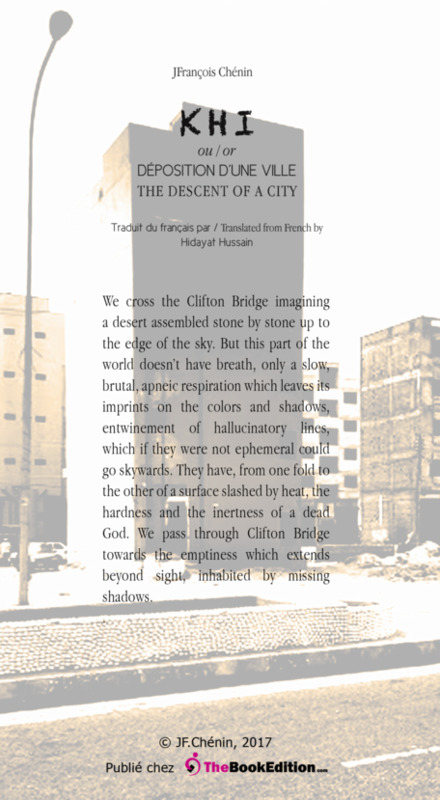 Extract : We cross the Clifton Bridge imagining a desert assembled stone by stone up to the edge of the sky. 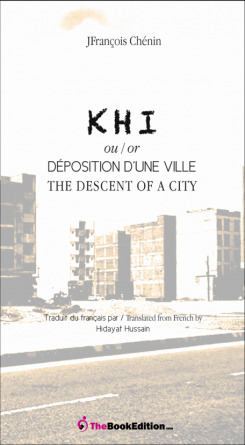 But this part of the world doesn’t have breath, only a slow, brutal, apneic respiration which leaves its imprints on the colors and shadows, entwinement of hallucinatory lines, which if they were not ephemeral could go skywards. They have, from one fold to the other of a surface slashed by heat, the hardness and the inertness of a dead God. We pass through Clifton Bridge towards the emptiness which extends beyond sight, inhabited by missing shadows.